GB Kitchens are the most reliable and efficient manufacturers and suppliers of bespoke trade only kitchens in Nottingham! We provide trade professionals with supply only kitchens manufactured to an excellent standard. 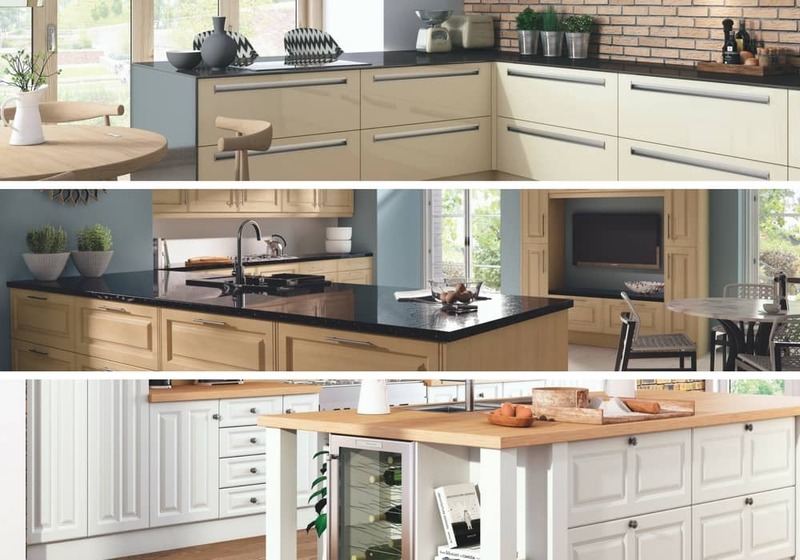 Buy quality kitchens at trade prices directly from GB Kitchens and save money. All at competitive trade prices. We supply bespoke kitchens manufactured by ourselves here at GB Kitchens. We also supply kitchen doors by brands you know and trust. Our kitchens are available traditional, contemporary and Shaker styles. Discover over one thousand different kitchen cabinet door options for your supply only kitchen. OUR EXPERT IN-HOUSE TEAM MANUFACTURE QUALITY KITCHEN CARCASSES, UNITS AND DOORS USING STATE OF THE ART EQUIPMENT INCLUDING CNC & EDGEBANDER MACHINES. We know that every one of your customers has a different lifestyle and taste, so we manufacture an extensive range of kitchen units and door styles to suit everyone. Our advanced tools allow us to manufacture and supply the trade with quality carcasses and 2mm edge doors. We control the entire kitchen manufacturing process in-house so your customers always get high-quality kitchens at trade prices. Ready to order your kitchen? Do you have a question or just need some guidance? Contact us today. Traders sign up for free today here. Once you have signed up, you will receive trade discounts and guaranteed delivery dates. As supply only kitchen professionals, we only service the trade because we understand that you are best placed to give the convenience and experience of a professional installation. (1 x 600 3 drawer base, 1 x 1000 base, 1 x Built under oven housing, 1 x 1000 corner base, 2 x 600 base, 1 x 300 base, 2 x 1000 wall, 1 x 600 wall & 2 x plinth) - Prices include hinges & legs as well as BLUM soft close hinges and drawers. See the kitchens we have supplied!